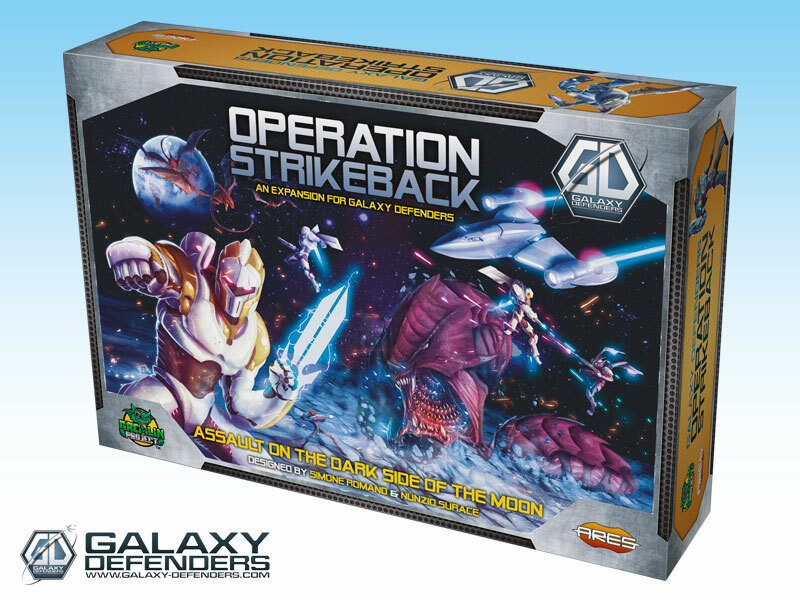 Operation Strikeback: battle on the Moon. The eagerly awaited new Galaxy Defenders expansions, Operation Strikeback! and Extinction Protocol are now shipping to the backers of the Galaxy Defenders - The Earth Strikes Back! 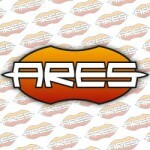 campaign on Kickstarter, and are expected to hit the stores by late July. These new Galaxy Defenders expansions were funded by a crowdfunding campaign last year reaching $259,166 pledged - 647% funded - and 1,264 backers. 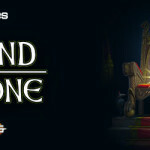 The expansions are set after Agents have won the battle on Earth. 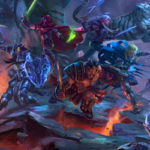 Extinction Protocol: final assault on the Alien home planet. In Operation Strikeback, the Agency launches a strike against the Invaders’ base on the Moon, enlisting the help of new, genetically modified agents to help face new the alien menace. In Extinction Protocol, it’s time for the final assault on the Alien home planet and Agents are equipped with new generation weapons and awesome Power Armor to fight the deadly perils and the worst enemy they have ever faced. Operation Strikeback: Aliens, aliens everywhere! 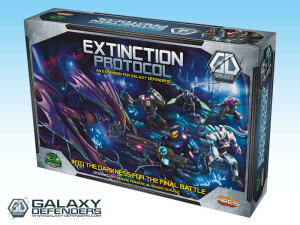 Galaxy Defenders Extinction Protocol: Battle on the invaders' home planet!